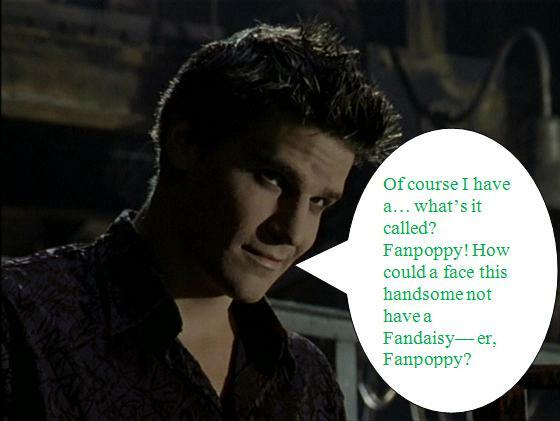 Buffy Fanpoppy Fever: Angel. . Wallpaper and background images in the The Fanpoppy Awards club tagged: fanpoppy buffy the vampire slayer angel. Angelus wishes he had one lol. hehehehehehe :) Very funny :) And yes, what a handsome face!! Closely related to the Fanranunculus, the Fantulip, and the Black Fanorchid, though not the Fanlantana or Fangladiolus. ...man, those are fun to say!